The current Honda Accord is the 8th generation of a car that was first launched in 1976. Teaser videos and detailed photographs built anticipation before its launch at the 2008 Geneva Motor Show. As with previous versions, the current model is available as a saloon and tourer. The Type-S tops the range. The 8th generation is built on Honda’s ACE body structure. It is available with a 2.0 litre or 2.4 litre i-VTEC Petrol engines, or a 2.2-litre i-DTEC turbo diesel power plant. The entry car is a little over £22,000 and the top of the range Type-S is just over £30,000. This is an expensive car for its class. 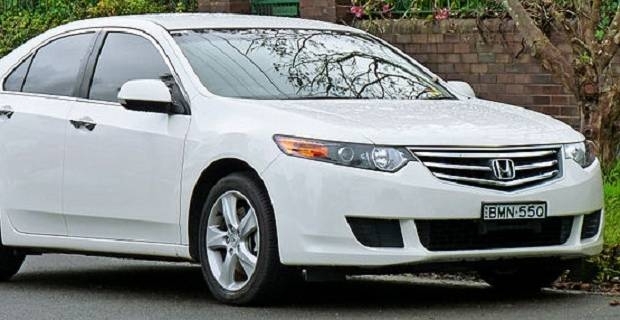 Whether you are interested in the Accord as a family car or a company car, rivals like the Ford Mondeo and the VW Passat offer viable alternatives. Cars like Citroën C5, Ford Mondeo, Mazda 6, Toyota Avensis, Vauxhall Insignia, and the Volkswagen Passat are considered competitors. Some of these cars are cheaper to own and cheaper to run than the Accord but don’t have the safety kit that’s supplied as standard with the Honda. Whether you are buying the Honda Accord for business or family use, safety is a priority. With a 5 star Euro NCAP rating, there is no safer car on the road. This is the top rating that the European New Car Assessment Programme can award and has been possible due to innovations like adaptive cruise control, lane keeping assist and collision mitigation braking. Honda is often at the top of reliability surveys taken by British motorists. For this reason brand loyalty is high, as are residual prices on second-hand cars when compared to rivals. Next year sees the introduction of a new Honda Accord, so there will watch out for cut-price deals on the existing car later in the year.